So speaking of planning, what are your plans to prepare for any of the above in the coming months. 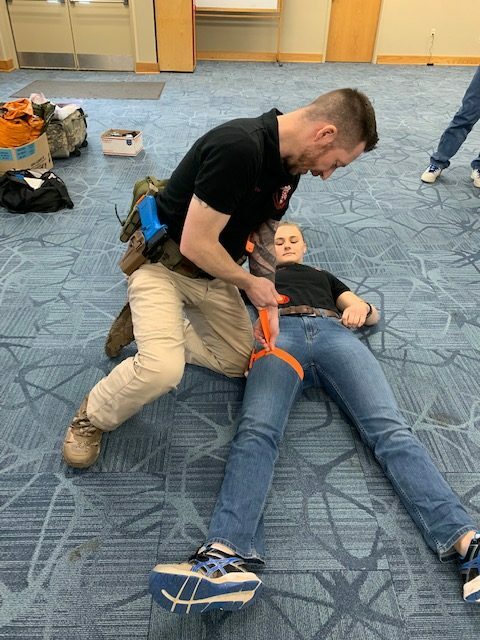 Setting up your go-bag, having your own fire drill, starting/improving your food storage or reserves, purchasing and learning how to use a water filter, purchasing a generator and learning how to use it safely, or maybe taking a firearm or emergency medical course with us! Whatever you do, if you were in this place last year and you didn’t manage to get anything done…shake it off and call it your mulligan. But don’t let another year go by without doing something! Is it illegal to possess a firearm if you have a Medical Marijuana card? YES! Federal Law: 18 U.S.C. § 922(g)(3) prohibits a person who is an unlawful user of or who is addicted to a controlled substance from possessing, shipping transporting, or receiving any firearm or ammunition. According to this federal law, possessing, using, transferring, or prescribing marijuana is a crime. Even if you legally purchase it in your home state with a prescription your physician wrote for you, the fact that the state allows this does NOT trump the federal law that says you cannot. There is a list of 9 criteria according to 18 U.S.C. § 922 that delineates specifically which persons are prohibited, or what behaviors prohibit a person, from possessing a firearm. For years, many churches assumed that “it can’t happen here.” It has taken many catastrophic events for the majority of congregations to realize that they, too, are vulnerable to someone coming to their church with a gun and changing the world as they know it. Strategos International is a faith-based organization and understands the vital role that churches bring to communities. Frozen in place instead of taking fundamental actions such as locking a door. We’ve trained more than 150,000 people (and counting). Knowledge gives us the power to resist and prevail against a violent intruder. We will provide you with the training you need to prevent and respond when an incident actually occurs. 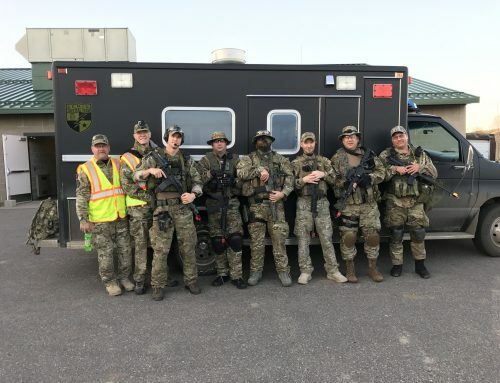 Strategos is adamant that churches need not (and should not) “militarize” in order to have a secure environment. 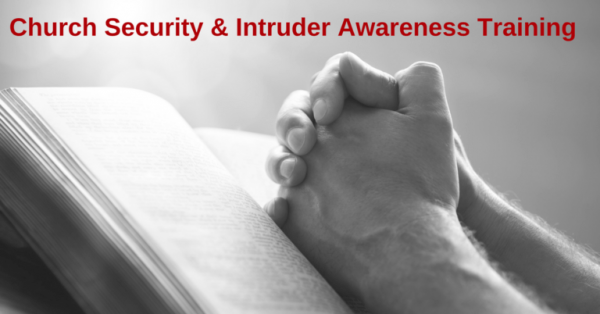 There is no one-size-fits-all approach to church security, but there are core principles that must be followed; there is diversity in the approaches we may take in protecting our congregations. When people are trained, they can effectively respond to a threat with confidence and resolve. Take the time to make this investment in your church family and learn how to manage today’s threats as a team! Consider selected events from the last 20 years which illustrates the fact that our country, with all of its talents and resources, remains unwilling to learn simple but tough lessons. The criminals ARE learning, adapting, and trying new things (most facts and statistics below are from Wikipedia). February 28, 1997, North Hollywood Bank of America, Los Angeles, California was robbed by two men with extensive planning, body armor, and fully automatic rifles. Both robbers were killed, twelve police officers and eight civilians were injured, and numerous vehicles and other property were damaged or destroyed by the nearly 2,000 rounds of ammunition fired by the robbers and police. Takeaway: first responders were not equipped or prepared for this type of fight and the public was not in much of a position to help. Police officers had to arm themselves with rifles from a local sporting goods store because only shotguns were issued to patrol. This did not end as a barricade; the suspects left the bank and took the fight out into the streets of LA. April 20, 1999, Columbine High School, Littleton, Colorado was (at that time) the deadliest shooting at a high school in United States history. The suspects, two seniors, murdered 12 students and one teacher. 49 minutes elapsed from the first shot was fired until the two committed suicide. Takeaway: emergency services were not trained or prepared for a siege where the suspects were not barricaded…they just kept shooting. A teacher bled to death from survivable wounds because simple equipment (tourniquet) and training were not available. April 16, 2007, Virginia Polytechnic Institute and State University: in approximately 10 minutes, one attacker with 2 handguns killed 32 and wounded 17 in Norris Hall. He fired about 174 rounds, all of the victims were shot at least 3 times, and 28 of the 30 in Norris Hall were shot in the head. After the attacker left one classroom for another, not everyone who was capable of evacuating did so. The killer returned and finished the job on many of them. In an effort to delay the police response, the killer chained the doors. Note: there happened to be 2 fully geared police SWAT teams training only 800 yards away. Police arrived within 3 minutes but took an additional 2 minutes to gain entry. An officer used a 12 gauge shotgun to breach a deadbolt lock and get in. The suspect committed suicide after establishing the new record for the most killings in a school shooting so far. Takeaway: 8 years after Columbine, most schools still did not have plans or training to address this kind of event. My peers and I teach lock out, get out, take out and not run, hide, fight. Cell phone video of one student showed him trying to shove tennis shoes under the door to act as a wedge and keep the door from opening. 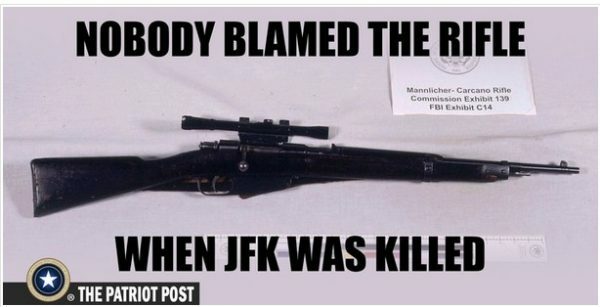 The suspect killed almost 3 times as many people by himself in significantly less time than the two suspects at Columbine. July 20, 2012, Century 16 Theater in Aurora, Colorado, theater #9 was the site where 12 people were killed and 70 were injured (from gunfire) during the premiere of Batman. At the time, this incident was the largest number of casualties until the Orlando nightclub in 2016. 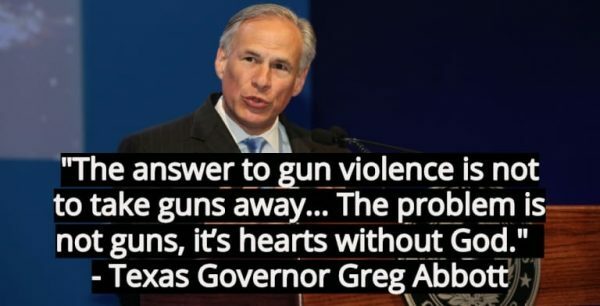 The attacker deployed tear gas and smoke grenades and began shooting with a Remington 870 shotgun (6 rounds), followed by an AR-15 with a 100 round drum magazine (which jammed after 65 rounds) and then a 40 caliber Glock (5 rounds). He was dressed in a load-bearing vest, helmet, gas mask, leg protectors, and since others were dressed in costumes for the movie, some thought it was a prank. He surrendered to police outside the building. December 14, 2012, Sandy Hook Elementary School, Newtown, Connecticut: using an AR-15 that he stole from his mother after murdering her, the 20 year old suspect fired 154 rounds in less than 5 minutes killing a total of 28 people; 20 children between the ages of 6-7 and 8 adults. He committed suicide with a 10mm handgun. He had a Saiga 12 gauge shotgun in the car which he never accessed. No shots were fired by the police. The suspect had a history of mental health issues before the age of three including communication and sensory difficulties, socialization delays, and repetitive behaviors. In elementary school, he was diagnosed with a sensory-integration disorder (which does not have official status by the medical community as a formal diagnosis but is a common characteristic of autism). His anxiety affected his ability to attend school and in 8th grade he was placed on “homebound” status. He was diagnosed with Asperger Syndrome at 13 and at 14 his parents took him to Yale University’s Child Study Center, where he was also diagnosed with obsessive-compulsive disorder. He frequently washed his hands and changed his socks 20 times a day, to the point where his mother did three loads of laundry a day. He would go through a box of tissues in a day because he could not touch a doorknob with his bare hand. Takeaway: mental health issues continue to play a major part in these mass murders. This kid should never have had access to his mother’s firearms. The state of our current health care system cannot manage the number of people who need this kind of help, including our veterans who are committing suicide at a rate of 16 EVERY DAY. Since 2008 we have lost over 6,000 Veterans each year to suicide. If you are a Veteran in crisis — or you’re concerned about one — free, confidential support is available 24/7. Call the Veterans Crisis Line at 1-800-273-8255 and Press 1, or send a text message to 838255. June 12, 2016, Pulse Nightclub in Orlando, Florida: referencing racial and cultural issues this suspect set the new record for the deadliest mass shooting by a single attacker with 50 killed and 53 injured. Using a Sig Sauer MCX semiautomatic rifle and a 9mm pistol the suspect entered the nightclub around 2:00 am and was confronted by security (an off duty officer) at the front door, but was able to get past him. The fight was on and the initial “active shooter” event changed to a barricaded suspect with hostages incident. Of the thirty-eight victims to die at the scene, twenty died on the stage area and dance floor, nine in the nightclub’s northern bathroom, four in the southern bathroom, three on the stage, one at the front lobby, and one out on a patio. At least five of the dead were not killed during the initial volley of gunfire but during the hostage situation in the bathroom. (911 received calls for help from patrons in the bathroom who said there were people bleeding to death.) Police did not breach the building until 3 hours into the incident when SWAT engaged the sole attacker in the hallway and killed him. Greg and Farley demonstrate tourniquet application in St. Louis. Photo: Todd Burke. Takeaway: while the decision to hold and not breach when this turned into a barricade with hostages is legitimate, here is another incident where potentially saveable victims were bleeding to death and no one knew what to do (like the teacher at Columbine). Civilians must learn basic life-saving skills such as hemorrhage control and this is a focus of the national Stop The Bleed campaign. Just because emergency services are on the scene does not mean you will have access to them in a timely manner. One severed artery can cause you to bleed to death in 3 minutes. October 1, 2017, Mandalay Bay Hotel & Casino, Las Vegas, Nevada: a 64-year-old man fired more than 1,100 rounds from his suite on the 32nd floor of the hotel, killing 58 people and leaving 851 injured – over 400 of them by gunfire and hundreds more in the ensuing panic. The shooting occurred between 10:05 and 10:15 p.m. and about an hour later the suspect was found dead in his room from a self-inflicted gunshot wound. His motive remains unknown. The incident is now the deadliest mass shooting committed by an individual in United States history. It focused attention on bump stocks, which Paddock used to help him fire shots in rapid succession. Bump stocks were banned by the U.S. Justice Department in December 2018, effective March 2019. Takeaway: using these numbers, while the murderer had the high ground, ammunition, and weapons systems capable of delivering a high volume of fire, his hit ratio was 36% and his kill ratio was only 5% for the 1,100 rounds fired. He pointed at the crowd and fired as fast as he could. This, like all of these incidents, was well-planned. Consider a person who has actual marksmanship skills and an open field of fire with hundreds or thousands of targets (such as the Texas A&M sniper in 1966 where citizens returned fire and helped). We must learn awareness, recognition, reporting, communication, teamwork, and preplanning if we are to change the outcome of these events. We have to get over the normalcy bias and learn to be attentive, diligent, and how to effectively fight back! By design and deployment our police forces are mostly reactive. Even if we quadrupled the number of officers they would still have to deal with regular police stuff, everyday routines, security posts, and respond to calls for service. We could have SWAT teams in full gear, sitting in trucks ready to go, but the seconds vs. minutes fact will still prevail. Re-read or research Virginia Tech. Two SWAT teams were in full gear training less than 1/2 mile away! While we cannot stop murders, we can significantly reduce their impact, scope, and size! His walk-up approach from the alley onto the sidewalk was in full view of the front doors for 15 seconds before he opened fire. 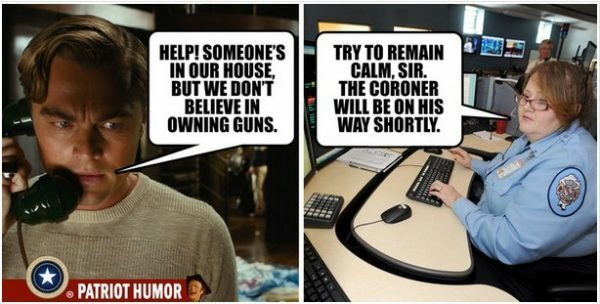 Key Point: a greeter or person at the front door would have had an opportunity to sound an alarm, initiate a lockdown, and engage the suspect before he reached the building! 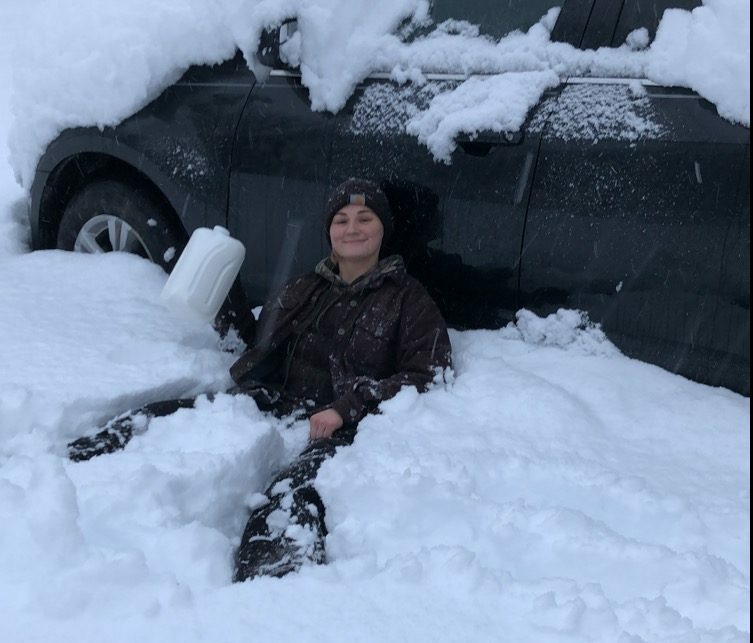 When he was about 20 feet from the front door he opened fire with the shotgun, fired 9 rounds, then threw it to the ground to transition to a slung rifle. 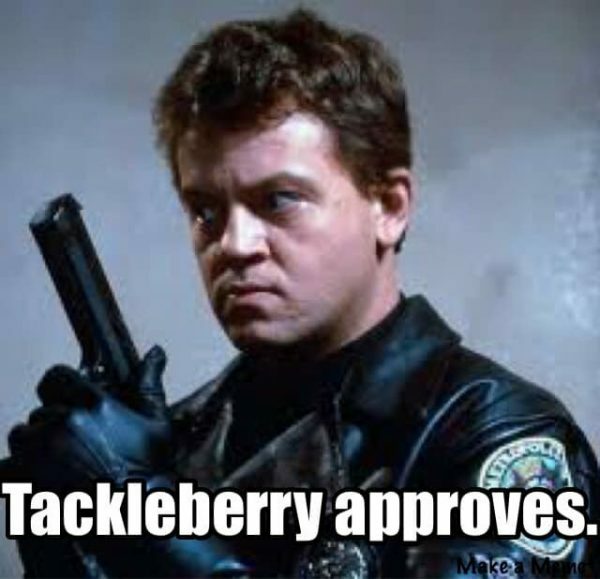 Using a strobing flashlight on the forend of the rifle, he stepped over those he shot and began engaging people in several directions as he crossed the threshold into the building. He shot again anyone on the ground in front of him who was still moving. 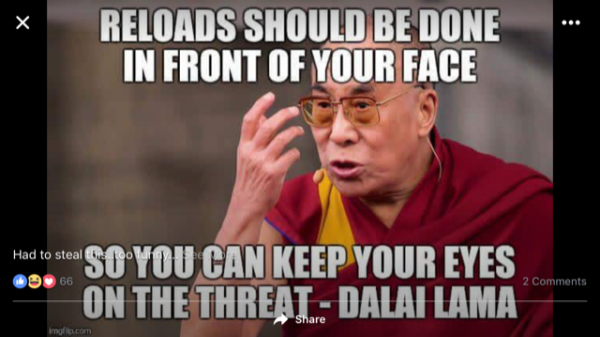 After running dry he performed a skilled reload with a 2nd magazine and then entered the worship area from the hallway scanning right and left and firing at people on both sides. Key Point: he was skilled with his equipment. Any professional protector who is not near the top of their game with their own equipment must answer this wake-up call immediately or do something else. One person tried to tackle him or run past him when he entered the worship area but was unsuccessful. Most were huddled in the corners as the suspect fired many rounds into the masses of bodies. Key Point: “Run and hide” is not just ineffective, it promotes death! Those who “hid” in the corners of the worship area simply created mosh pits where everyone was eventually killed. There were so many people and so much movement that at times he was firing in one direction but looking in another – he was constantly scanning. Running the rifle dry he reloaded with a 3rd magazine and shot people who were already hit and on the ground. He had a stoppage that took him 18 seconds to clear and he did so standing still in one place, his attention focused on the rifle right in front of him. At this time it did not appear that anyone was on their feet or capable of putting up a fight. There were about 35-40 people down at this point. He reloaded a 4th magazine and turned to go back down the entry hall and head outside. From the time he took the first shot with the shotgun until he exited the mosque took only 2 minutes and 10 seconds. Key Point: as we have seen many times in the past, a responding battalion of armed police officers cannot stop the “stopwatch of death” if they are not physically there to engage the murderer. He fired the 4th magazine in opposite directions down the street, and when he runs the rifle dry he returns to the car, drops the empty rifle, and gets another rifle out of the back of the car. This took about 30 seconds. With a new rifle and the 5th magazine he ran past the main entrance to a side gate and fired 12-15 shots at an unknown target in the distance. He ran back and re-entered the main doors of the mosque. Re-entering the worship area, he closed the distance and fires the remaining rounds of the 5th magazine at very close range into victims who were already shot. Key Point: In many mass murders, the suspect(s) returned to areas they had already caused great harm in, such as the adjacent classrooms at Virginia Tech. If you physically have the ability to move – get out! With the 6th magazine he continued working his way clockwise around the room still shooting those on the ground. Some who were not dead but lying motionless flinch when struck again. He left the worship room and headed down the hall and out the front doors. Stepping outside he spotted two women in black dress on the street about 25 yards away and he shoots at them. One goes down, the other runs away, and he runs up on the woman who is down and shoots her two more times while she is crying out and reaching toward her companion. He gets in his car and runs over the woman he shot in the street. Key Point: history shows us that many people who thought they heard gunfire and went to investigate instead of creating distance and calling for help encountered the attacker and became victims. 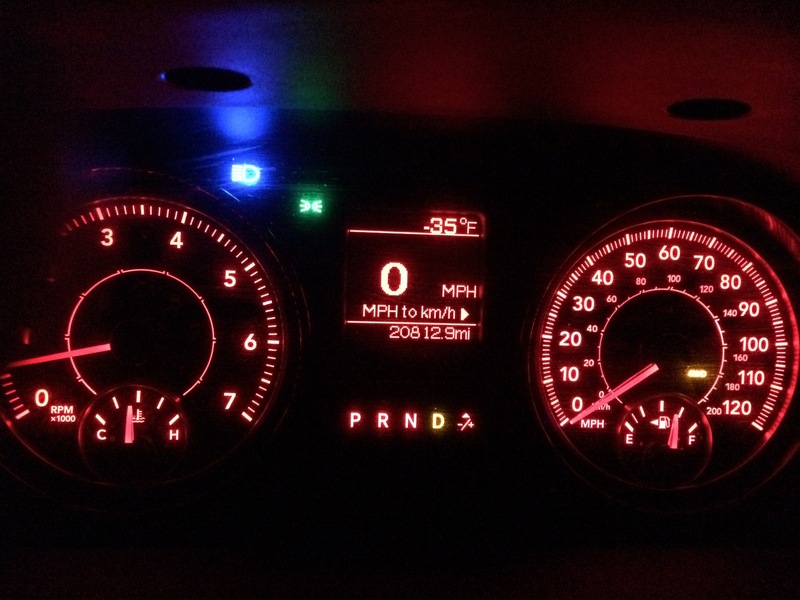 From the time he fired the first shot until driving away less than 6 minutes have elapsed. He fired 9 rounds with the shotgun and approximately 170 rounds with two rifles. When he gets in the car he is listening to music that begins, “I am the god of Mount Zion, and I bring you fire…” and he says to himself, “There wasn’t even time to aim; there were so many targets.” While driving to the second mosque he reaches down on the passenger’s floorboard and picks up a pump action shotgun. He shot two rounds through his windshield at two men in a car and they drive away. He continued to shoot at people on the street through his windshield and his blown-out side window. The last 4 minutes of the video is mostly of traffic and him driving. I realize that to many of you I am preaching to the choir on the whole “guns are the problem” debate. The world is not a safe place, but security can be rather easily and intelligently managed. 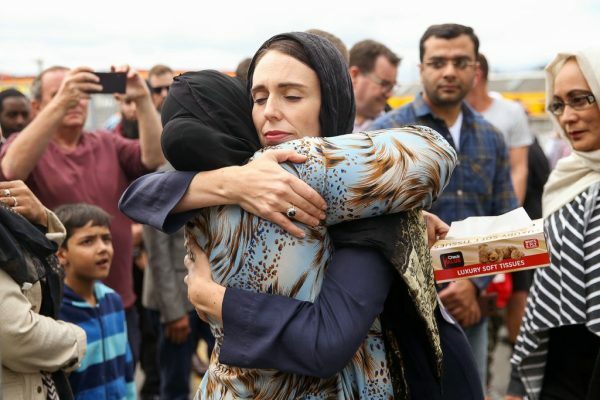 Sadly, New Zealand has become another example of what can happen when your primary safety plan is to rely upon someone else, such as the government, to provide for your safety or even worse – make the assumption that “it will never happen here.” And a parallel topic that we still fail to address is the advent of explosive and incendiary devices such as the pressure cooker bombs from the Boston Marathon. The disturbed mind can learn how to build these from the internet…and someone is doing that very thing at this very moment. If you missed our class in Hallsville this February, here is a great chance not to have to wait until Winter 2020 when we offer it again locally! Steve Sulze, the owner of Xtreme Krav Maga and Fitness is hosting our tactical trauma class in Fenton, very near Interstate 44 and Highway 141. It’s only about a 90-minute drive from Columbia and on a Sunday morning you won’t have any traffic to deal with. The class will wrap up around 4:00 pm and there are some good eatin’ places where you and a friend can enjoy dinner before the short drive home. TAP2 in Boulder, Montana October 2018. Photo: Chris Misselt. 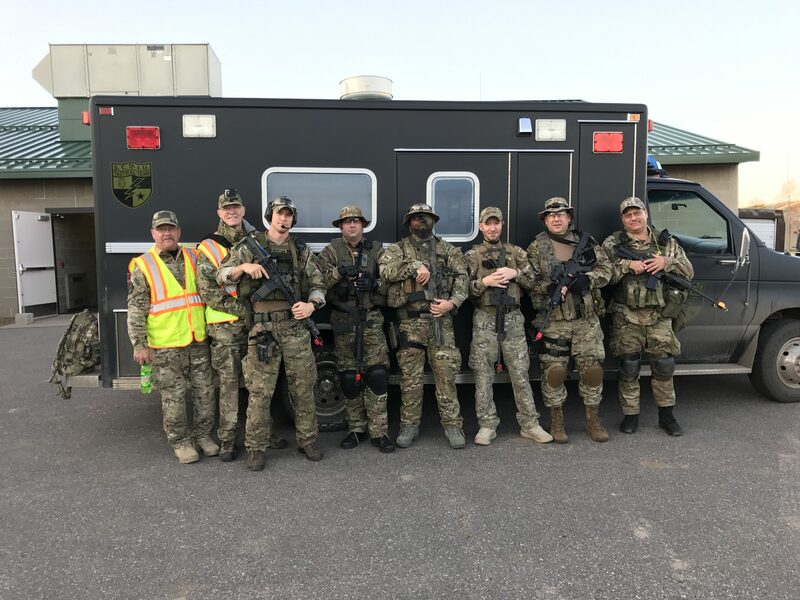 On May 1, 2018 Strategos International graduated the first class from our new 2-day pistol course called Tactical Applications of the Pistol (2-Day), or TAP2. We have offered the 4-day TAP course for over 10 years, but we realized there are many who are not yet ready to make the week-long investment or who feel they are not ready for the more comprehensive or “full immersion” course. In less than one year TAP2 has proven to be an overwhelming success! With my dedicated and talented cadre of over 20 coaches we have offered about two dozen classes in 16 states: Arizona, Arkansas, California, Colorado, Florida, Georgia, Indiana, Iowa, Kansas, Missouri, Montana, North Carolina, North Dakota, Ohio, South Dakota, and Texas! 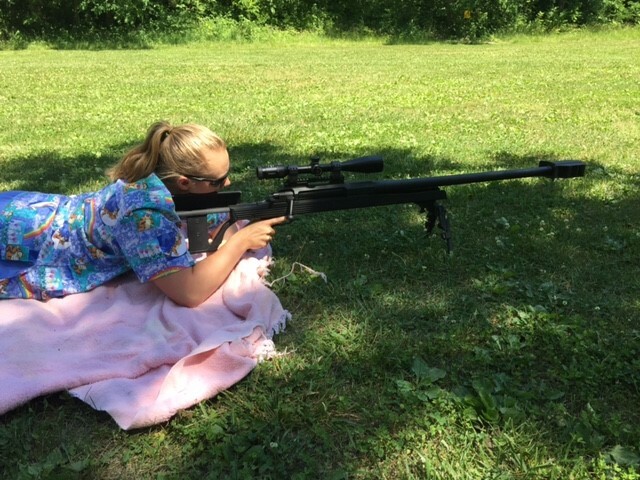 The most common thing we hear from individuals in each class is the statement that “they didn’t know what they didn’t know!” There is so much more to developing this martial skill than taking several boxes of shells to the range for an afternoon of shooting. Most get that when we push them to get their minds off the shooting range and into the real world. Providing a safe environment in which to train, learn, and interact while under a bit of stress is key. 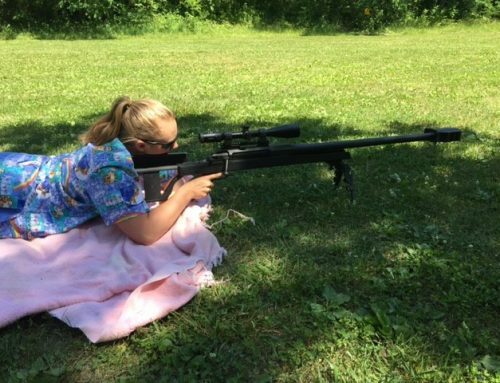 Homework assignment: find a training partner you trust and get to a range again within 30 days for skills review. There remains a confusion for some about what they are doing and what their roles and responsibilities are, even at the end of two days of focused training. This is okay and a normal result of intelligent introspection after our sharing examples of real-world incidents, failing to perform as you hoped or thought you would, learning that your gear does not work or live up to what you expected or was advertised, or discovering that you cannot move as quickly or as well as you used to. Homework assignment: more introspection and intelligent thought. Come up with a plan and learn how to work in spite of your shortcomings. Everyone is pleased with making progress, but many admit that they do not feel smooth, proficient, or ready for battle. We are thankful they self-admit this because this is only a two-day course. I am not aware of anywhere in the world you can go to become proficient and battle-ready in two days! What we have done is provide a first-hand life experience to validate a student’s understanding of this. Homework assignment: continue to make time to practice every day for the rest of your life. 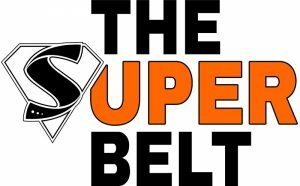 It may only be 2-3 minutes each day when you put your gear on or take it off, but if you are not willing to do that – gut check! You may not have the heart or mindset of a true protector. This is not simply an activity that you do, it must become a skillset that is connected to your belief system which is managed by your character and integrity. While we will likely exceed 24 TAP2 courses in 2019 as we already have 16 scheduled in the first half of 2019. For a complete listing of all of them please go to https://strategosintl.com/events/list/?tribe_paged=1&tribe_event_display=past&tribe-bar-search=tactical+application. 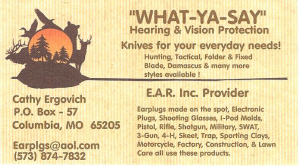 October 21-24 at Midwest Tactical in Leeton, MO (4-day program). 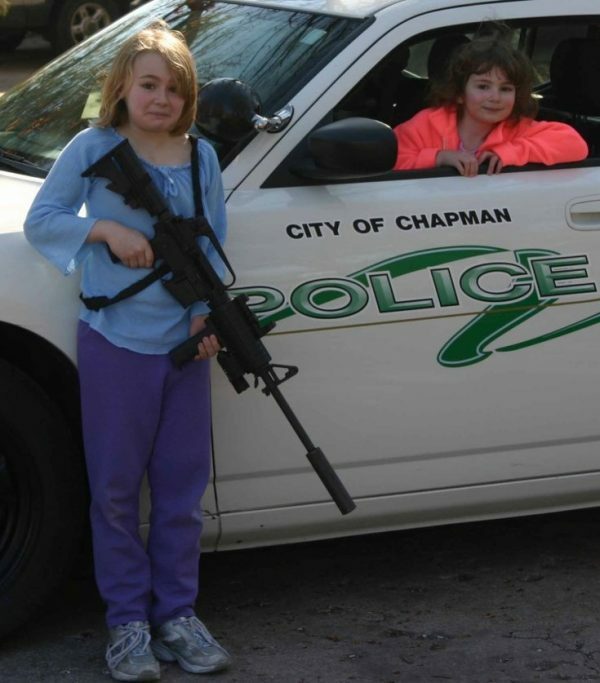 Can Missouri Shield our Second Amendment Rights from the Federal Government? I was excited when State Representative Ron Hicks (R-102) filed House Bill 302. If enacted, that legislation would make it so that anyone in Missouri who has a documented hearing problem could buy a suppressor (‘silencer’) without having to go through an approval process with the Federal Bureau of Alcohol, Tobacco, Firearms and Explosives (ATF.) That process requires a buyer to complete a federal form seeking permission to purchase the suppressor, pay a $200 ‘tax,’ and then endure a substantial delay. I have a service-connected hearing loss from my military service so my hearing problem is already documented. I’d like to have a suppressor, I’d rather not have to ask the federal government’s permission when I want to buy something, I’d rather not have to endure the delay, and I’d rather not pay $200 for the privilege. Can a state law allow me to ignore a federal law? As far back as 1842, the US Supreme Court has held the federal government could not force the states to implement or carry out federal laws. In Prigg v. Pennsylvania, Justice Joseph Story wrote an opinion stating the Fugitive Slave Act was a federal act and the federal government would have to enforce it. In other words, it is a long-established rule of law that the federal government cannot force a state government to enforce a federal law. Clearly, the state of Missouri could make suppressors legal to manufacture and own under Missouri law. This would protect the owner of that suppressor from prosecution by any state or local entity. But what about the federal prosecution? After a trial and appeal, on October 16, 2018, a three-judge panel of the 10th U.S. Circuit Court of Appeals upheld the convictions of Cox and Kettler. The men used the defense that the Kansas state law insulated them from prosecution by the federal government. The Court’s 48-page ruling did not concur. The men could continue their appeal by asking for a hearing before the entire 10th Circuit and, if that fails, take the case to the Supreme Court. Meanwhile, their sentences imposed federal felony convictions against both men and both were sentenced to supervised probation. As convicted felons, neither man is allowed to own or possess a firearm ever again. to regulation of firearms and accessories. However, I would hope the Missouri legislature would ensure that Missouri residents are not stranded between state and federal law as was the case in Kansas. 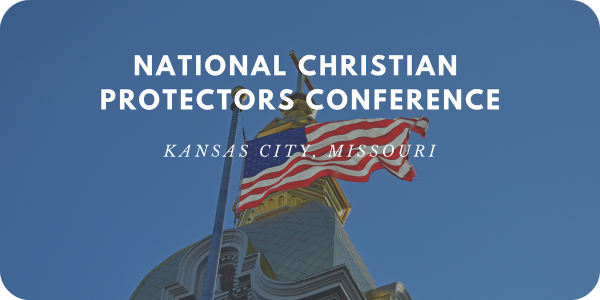 The National Christian Protectors Conference is dedicated to equipping and inspiring protectors to live a courageous faith. This conference packed with 10 tactical training sessions, world-class keynote speakers and nightly worship. 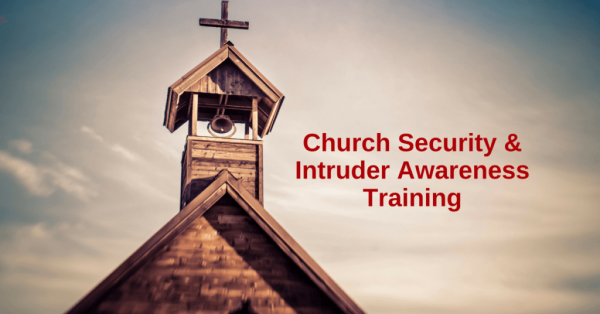 Sessions include Church Security, Compliance and Control, Low Light Firearms Applications, Child Protection, Ministry to First Responders, Lockdown Procedures, Crisis Casualty Care, Pastoral Protection, Tactics and Firearms Handling, and more! For more information and to register for only $99 https://strategosintl.com/conference/. 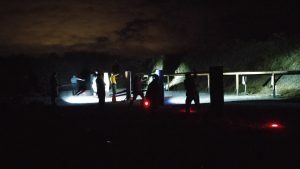 This dynamic and skill-oriented class addresses the realities of combat and the skills necessary to effectively fight and defend yourself with a firearm. 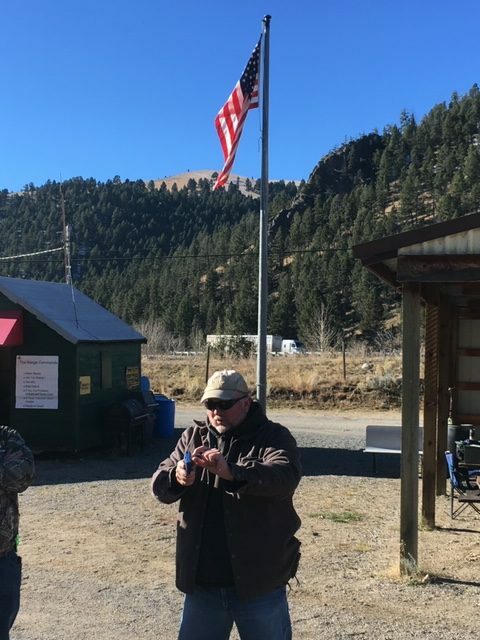 We use a building-block approach to ensure that participants learn safe, proven, and tactically sound methods of handling and manipulating their firearm, and they are comfortable with how their firearm operates. We ensure that this occurs through repetitive drilling with constant positive and constructive feedback. 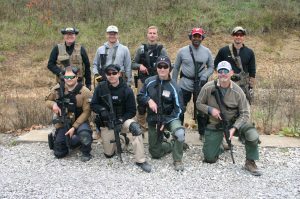 Not only will this program qualify you to obtain your endorsement for carrying a concealed firearm according to Missouri State Statute, it is the “starting blocks” for anyone who is looking for a basic firearms safety class or the person who wants to learn or refresh skills with the fundamentals of marksmanship. 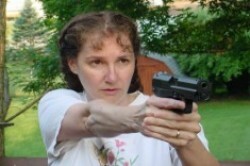 This is the perfect class for novices wanting to learn about handguns even if you do not plan to pursue obtaining your CCW permit. This is a quality-driven course that will absolutely exceed your expectations! 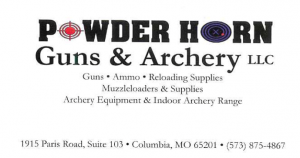 While the State of Missouri only requires participants in a CCW class to fire 40 rounds, we maintain our 100 round requirement. 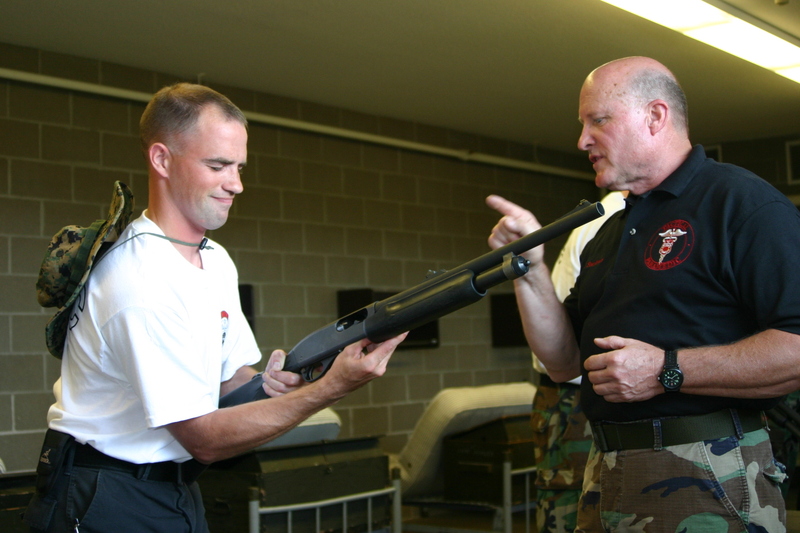 You will learn-by-doing in at least six separate exercises that connect the fundamentals of marksmanship with basic tactical principles. This class is particularly applicable for folks who have not purchased a pistol yet; we will teach you the dry fire drills that will help you select the right firearm for you! Carhartt, Liberty, YETI, Luminox, Surefire and more! Take a minute to respond to what you have read, learned, agree or disagree with. At the bottom there is a “leave a comment” section that is easy to use. The authors, staff, and coaches who offer our training and education services value constructive feedback. We invite you to share your thoughts with us! Excellent issue as always, keep up the great work you all do! Keeping my eye on the Crisis Casualty Care Course. I need to brush up on my skills. Thanks Chuck! I may have one this fall but not certain. There will certainly be the annual course in first quarter 2020. 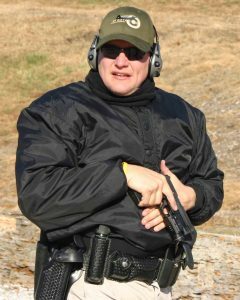 I have now lived in, taken state-mandated training in, and been licensed to carry concealable firearms in three states, with additional training and certification via two other non-resident state programs. 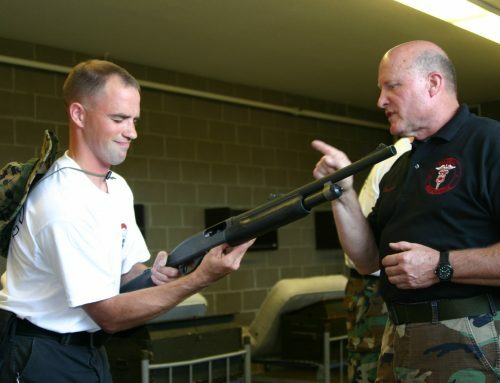 The states involved typically run the gamut of those considered to be “most restrictive” to those deemed “most permissive.” Training times spanned from a few hours to multiple days, with vast differences in didactic content and practical testing. Of these courses, only one rises to the level of being worth taking again and only that one holds the potential for gaining further useful skills and knowledge. The return on investment of both time and money is well-beyond the cost. Todd Burke’s CCW1. Dan, thank you for such a thoughtful and factually-supported endorsement. 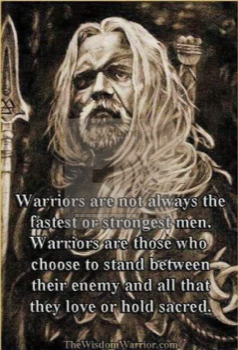 Being a warrior and coach yourself, you recognize the importance of: 1) Designing a valid and technically correct program, 2) Staffing that program with qualified and skilled coaches and 3) Giving people what they need which they often don’t realize until after the course is over (I didn’t know what I didn’t know). I look forward to when we can share the training ground again!